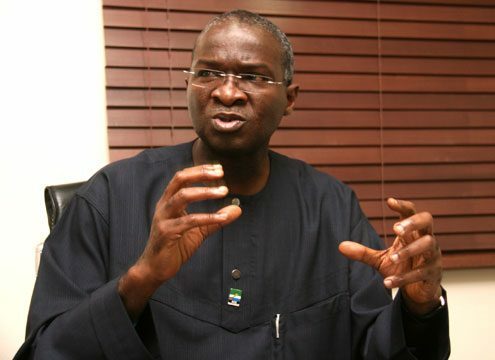 The Minister of Power, Works and Housing, Babatunde Fashola is under the radar as the Senate is set to investigate alleged irregularities of contracts by his ministry and the Bureau of Public Procurement, BPP. Following a motion by Senator Dino Melaye, APC-Kogi, the legislative body on Thursday asked its committee on public procurement to scrutinize the contracts awarded by the ministry after improper approval by the BPP. In the lead presentation, Mr. Melaye said the BPP irregularly revised its approval of the contracts awarded under the ministry headed by Babatunde Fashola. Mr. Melaye said after conveying its approval of the contracts in line with the laws, the BPP in a second letter changed the list of the contractors to ones not recommended by the ministry and inflated the costs. The BPP got a letter from the Federal Ministry of Works, Power and Housing for the award of two batches of contracts”, Mr. Melaye said when the matter was first brought up on Wednesday. The first is the award of the construction and rehabilitation of 10 roads and bridges under the 2016 Budget in November, 2016. The second batch is the award of the construction of bridges and roads – 13 of them – in the 2016 Budget. The ministry sent a letter to the BPP, asking that 10 companies, which had undergone its (the ministry’s) internal due process and technical qualification, be issued Certificate of No Objection for the award of the contracts. The BPP, after its diligence, wrote its first report, giving the ministry the nod. But somehow, a second letter came from the BPP, indicating ‘Revised Due Process Review.’ This is now a review of the first one. What caught my attention is that while the first was in compliance with what the ministry recommended, in the second letter, they (BPP) completely changed the list of the contractors. Not that the contractors were just changed, figures also varied. In the first batch of 10, a contract was given to new contractors, who were not assessed by the ministry. After awarding the contracts to them, the initial contract awarded for the Muman-Jalingo Road in Adamawa State, was given to a new contractor at N12.8bn as against N11bn that was recommended by the ministry. Another contractor was also given a new contract against the recommendation of N10bn; the contract was now awarded at N14bn. When deliberation on the matter resumed on Thursday, Mr. Melaye asked the Senate to note that the BPP contravened the Public Procurement Act and directly awarded over-inflated contracts to companies not recommended by the ministry.